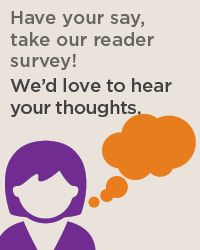 If you would like to have your say in the Australian Self-Publisher reader survey, you still have time. The survey closes on 31 December 2017, and only takes a few minutes to complete. We appreciate all the responses so far. Thanks for helping us create a better newsletter. If you have any queries, please email shannon.wood@thorpe.com.au.